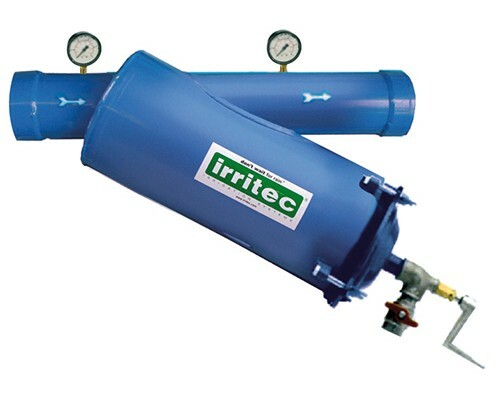 Irritec metal filters are constructed using state-of-the-art machinery and materials; high-precision welding, cutting and piercing guarantee reliability. In addition, the filters are protected by epoxy coatings which make them extremely hard-wearing. High resistance to atmospheric damage and inevitable operational wear and tear. The internal filtering materials are also calibrated or manufactured following scrupulous production or pressing procedures. 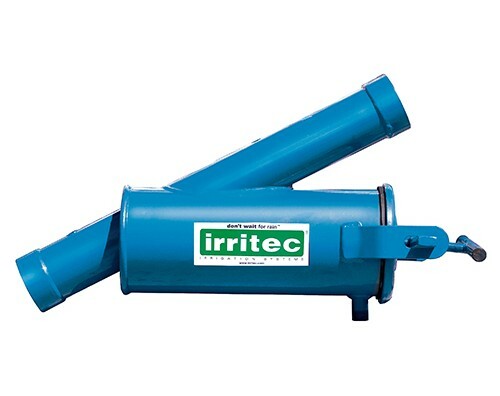 Suitable for any type of water, Irritec metal filters can be completely automated and guarantee professional filtration for high quality irrigation systems. 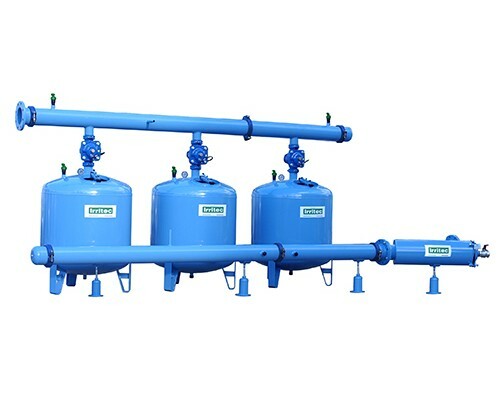 The quartzite sand filter is particularly suitable for filtering water containing large quantities of organic substances: algae, mud and slimy organic particles. 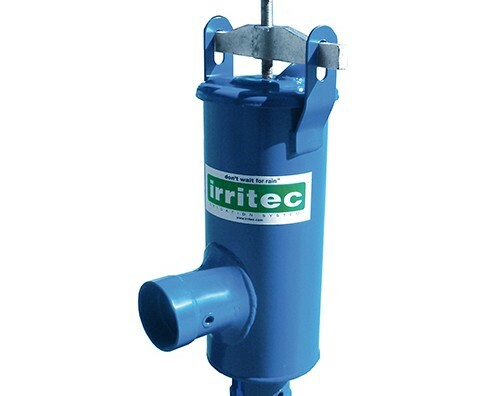 It is highly recommended for water from rivers, lakes and reservoirs. 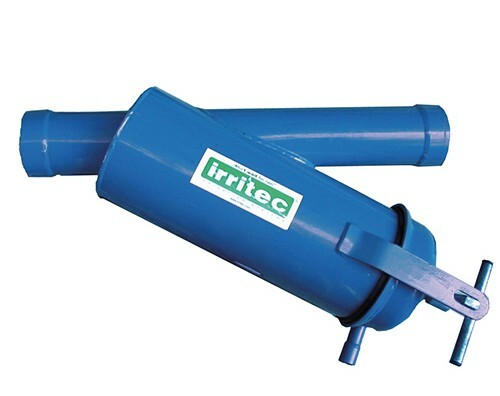 Specially designed spreader nozzles are located on a horizontal plate inside the filter; these prevent the quartzite becoming compacted, and thus minimise pressure loss across the system. 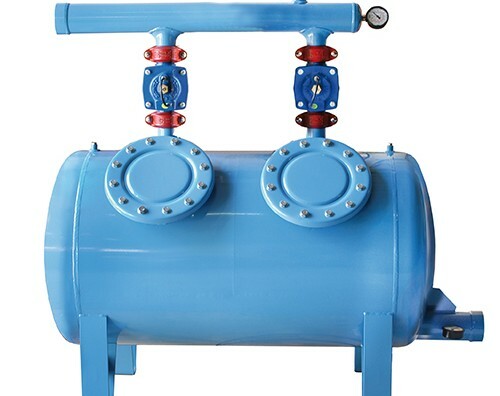 The quartzite sand filter can be installed singly (in the single EGV and EGH versions or the double-chamber ERV and ER3V), or as a series of two or more filters. In both cases backwashing can be manual or automatic. 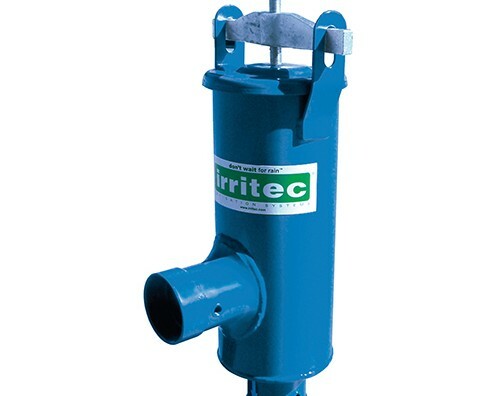 The hydro-cyclone filter is used for irrigation water taken from wells, rivers and lakes, containing considerable quantities of sand in suspension. Water entering at a tangent generates a centrifugal vortex action which allows the heavy particles to be separated out of the water. Their different density and specific gravity cause the water to exit from the upper outlet while the heavier sand falls into the centre of the conical structure, to be caught in the container below. 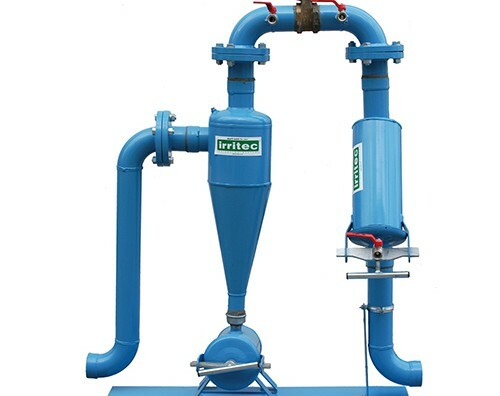 A reduction unit at the base of the cone protects the filter from wear from the abrasive action of the sand. 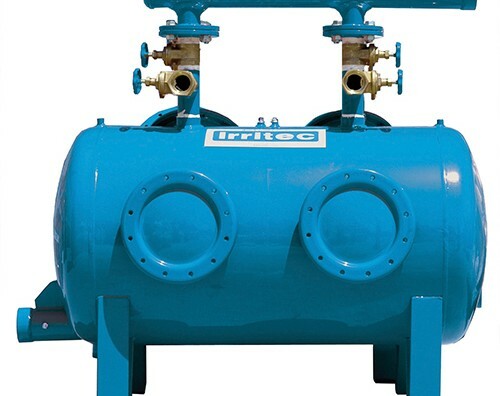 This unit is simple to replace during normal maintenance operations. 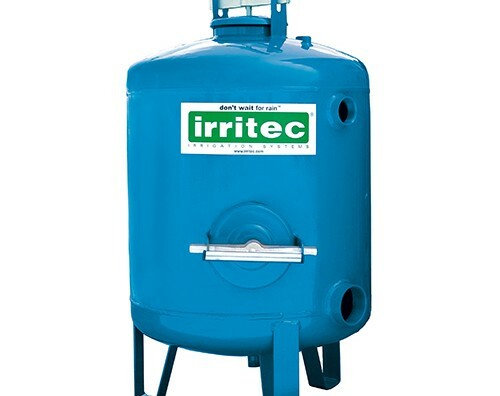 The filters can be supplied with an optional accumulator tank which allows the separated sand to be compacted and discharged through a manual/electric valve at regular intervals.